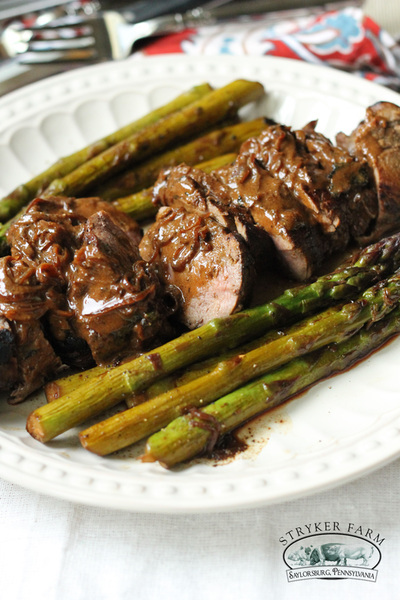 Pork tenderloin is wonderfully versatile, and this honey mustard marinade is only one delicious way to prepare it. 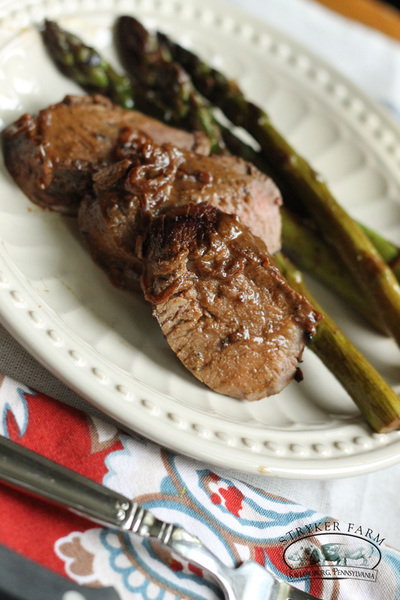 Pair it with your favorite vegetable for a complete meal. Mix together both mustards, honey, lemon juice and worchestershire. Remove the needle-like leaves of a rosemary sprig and chop well. Add to the marinade and mix thoroughly. 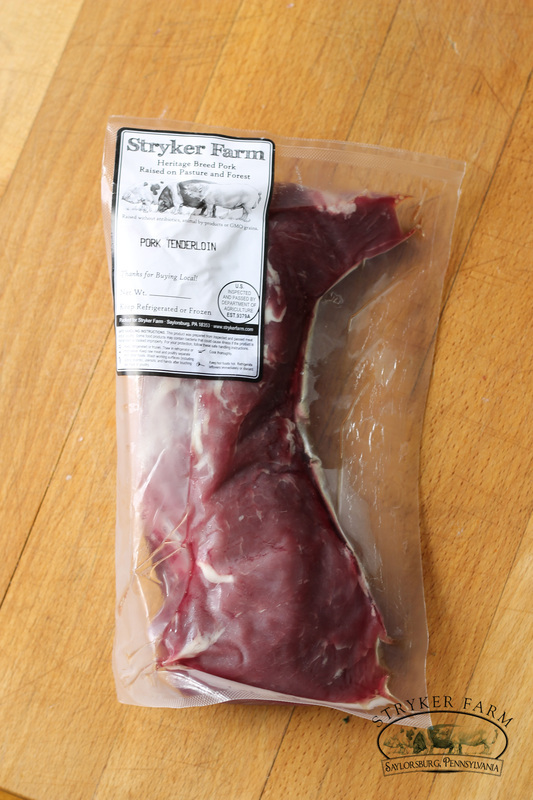 Drain any blood from the tenderloin in the bag. Place it in a gallon sized plastic bag along with the marinade. 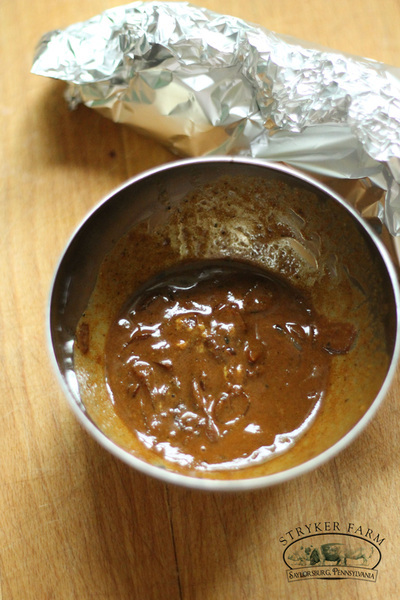 Try to marinate for 2 hours and up to overnight. 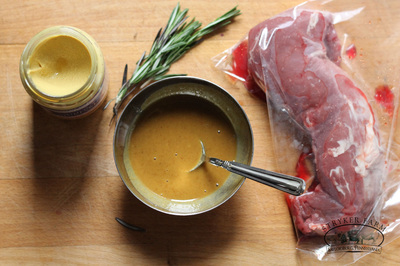 Spending a few extra minutes they night before to marinate makes a big difference. After the tenderloin has marinated, heat a cast iron skillet. Sear the tenderloin on all 4 sides for about 3 minutes each. Remove it from the skillet and wrap it in tin foil to rest. 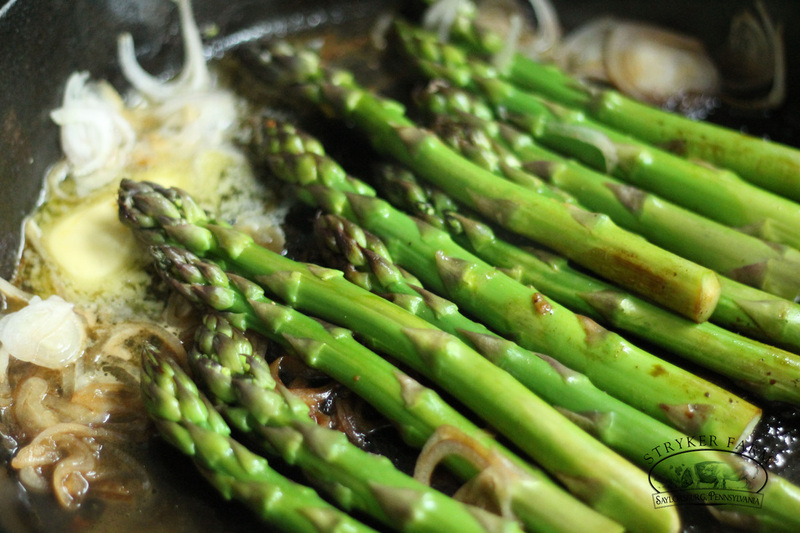 Add the asparagus to the hot pan along with a very thinly sliced shallot. Add a TBSP of butter. Then add some white wine to deglaze the pan. 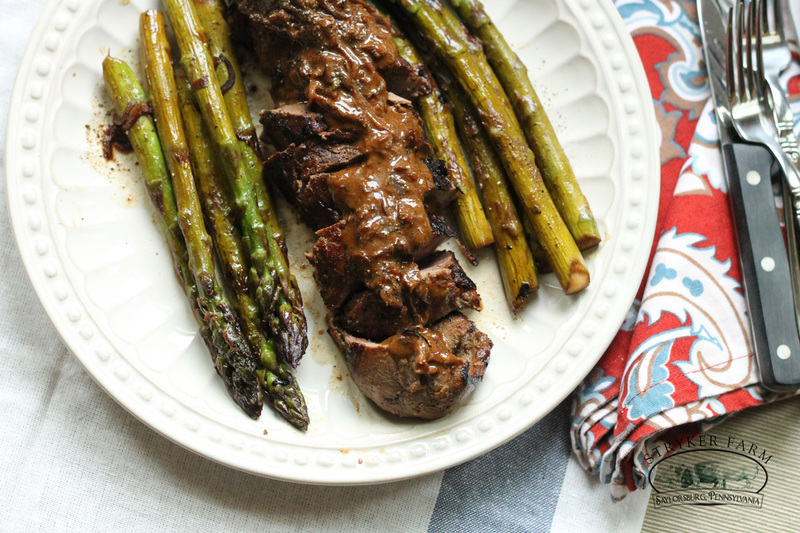 A lot of the wine will cook off as you grill the asparagus. Add wine as it evaporates. Rotate the asparagus as they cook. When they're tender and slightly limp remove them from the pan. Scrape up the shallots and remaing sauce from the pan and pour it into a small bowl. 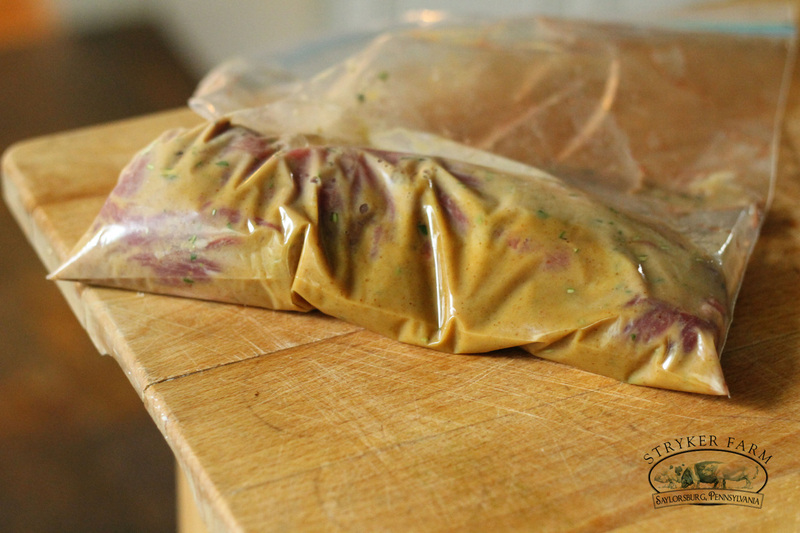 Mix in a half a TBSP of Dijon mustard. After the pork has rested about 10 minutes, open it up and cut it into half inch slices. Any juices that escape add to the sauce. 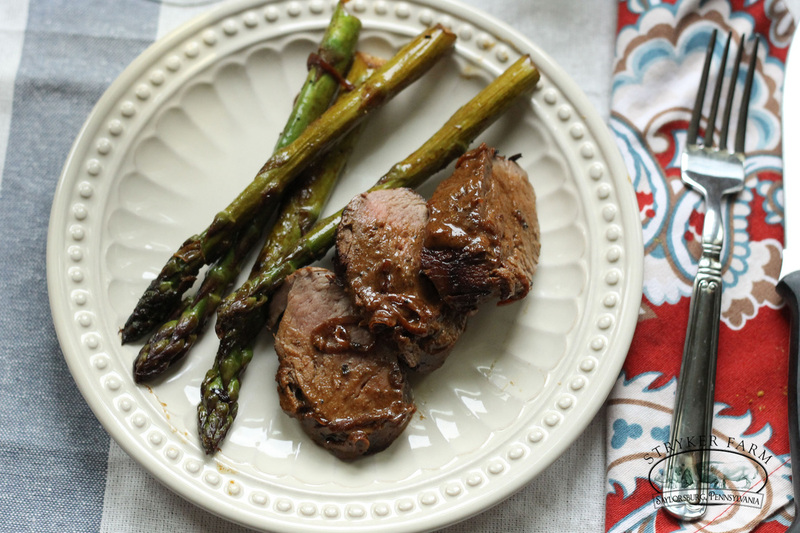 Plate the asparagus with the tenderloin and cover the slices with the skillet sauce. If the insides are still pink that's a good thing! (They're allowed to be). 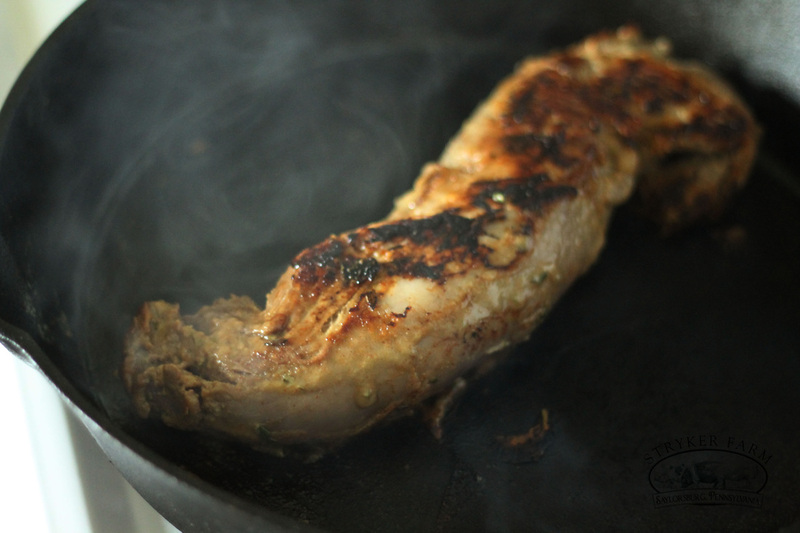 Searing the meat and allowing it to rest should seal up all the delicious juices making this cut oh so tender.